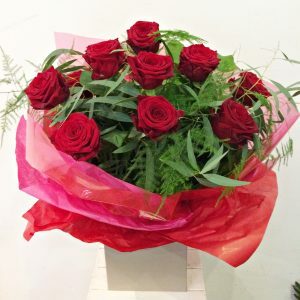 Beautiful, seasonal mixed flowers with 1 gorgeous red rose. 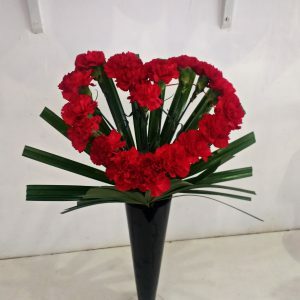 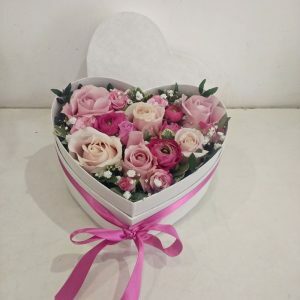 The bouquet is assembled professionally with fresh foliage and gift wrapped. 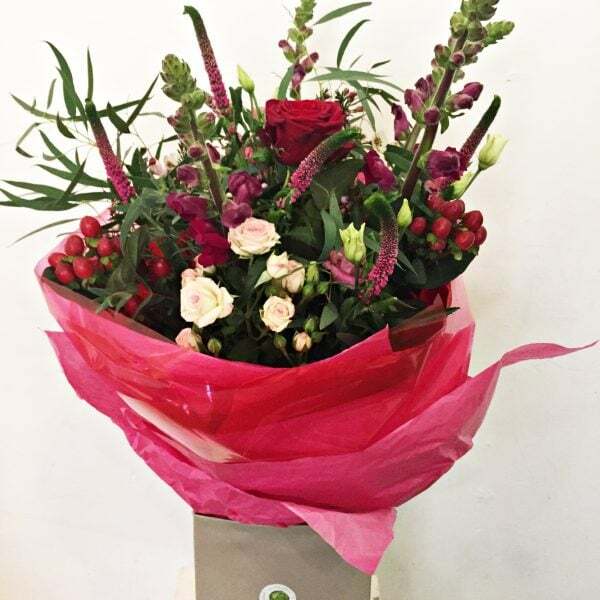 The aqua packed bouquet is placed in a bouquet bag and looks fabulous!